A group of Caribbean organisations in America are planning a documentary with the title Caribbean Glory which will detail the contributions of the British West Indian military in the building of the modern English speaking Caribbean. It is 1943 and London is still ringed by anti-aircraft batteries and barrage balloons to ward off attacking enemy aircraft. Below the grey skies of that embattled city, a BBC camera crew follows a young black man in Royal Air Force (RAF) uniform. With a quickstep and purposeful stride, he enters a building for the filming of a documentary ‘West Indies Calling’. 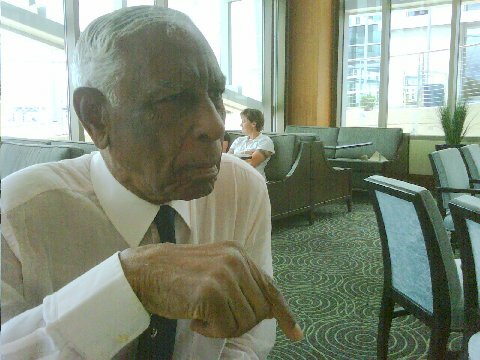 His name is Phillip Louis Ulric Cross, a Trinidadian, navigator and bomb-aimer in 139 (Jamaica) Squadron. Cross, the only person of color in his unit, later became a Squadron Leader and completed 80 missions over occupied Europe and Germany. 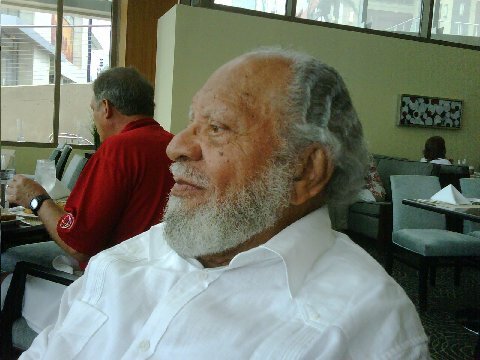 He was one of 7,000 West Indian volunteers in the RAF. Of that number, about 440 were aircrew including Fight Lieutenant Cy Grant of British Guiana whose bomber was shot down over Holland in 1943, and Flight Lieutenant Dudley Thomson of Jamaica who also flew in Lancaster bombers. These West Indians had rushed to the defense of Britain, their ‘Mother Country’ during that time, when she was under assault by Nazi Germany. 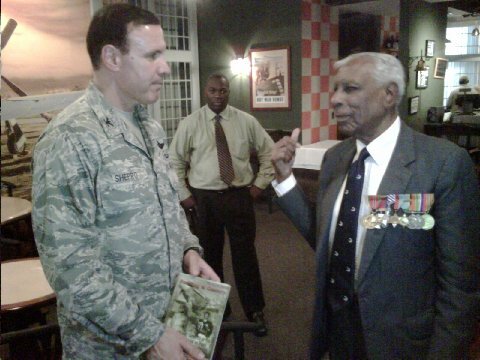 The story of these brave West Indians in the Royal Air Force is only now being told. 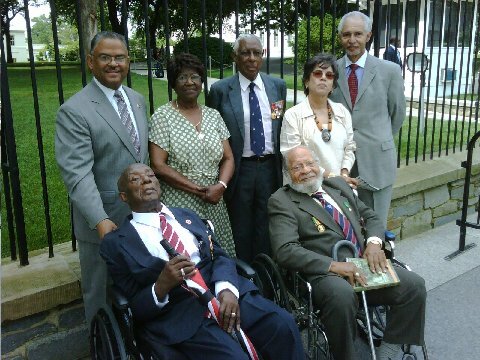 Though they preceded their US allies of the now legendary African American Tuskegee Airmen in combat, the story of these valiant British West Indians who also flew, is only not very well known. Unfortunately, most of those pioneers who flew in the skies over Europe to ensure a victory for human dignity and freedom are gone. 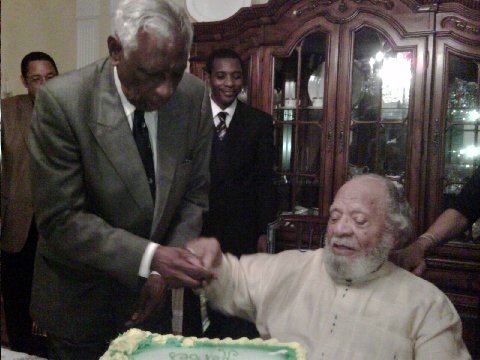 During Caribbean Heritage Month 2009, we honor heroes like Phillip Louis Ulric Cross, Dudley Thompson, Cy Grant, Errol Barrow, Edward Scobie, Harold Cherberd Bryant, and the many others who also flew, and in doing so, contributed to the freedom and dignity of the modern Caribbean nations. Pledge Your Support for Caribbean Glory! We ask you to pledge your support for ‘Caribbean Glory’ – A documentary which will detail the contributions of the British West Indian military in the building of the modern English speaking Caribbean. All such pledges are tax deductible and made payable to the Dominica Academy of Arts & Sciences www.da-academy.org, a 501( c) (3) US Non-Profit dedicated to the educational development of the Caribbean region and Diaspora. For more details call Gabriel J. Christian, Esq. 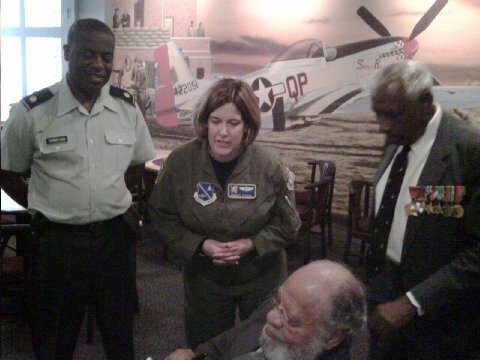 at 301-218-9400 and for more of that history of World War Service visit www.caribbeanaircrew-ww2.com. In collaboration with HE Glenda Morean-Phillips of the Embassy of Trinidad & Tobago. Presented by Pont Casse Press, the Institute of Caribbean Studies, and the Dominica Academy of Arts & Sciences. Hosted by Winfield St. Hill of the Winfield St. Hill, West Indian American Military Members Association (WIAMMA), and brought to you with the kind compliments from the Law Offices of Gabriel J. Christian and Associates, LLC. The Dominican on King and Country and the Washington Ceremony and a report with a video of the speech given by Baroness Scotland. ↑ (LR – standing) Admiral Stephen Rochon – White House Director, Alberta Christian (wife of Wendell Christian) RAF WW II veteran Squadron Leader Phillip Cross of Trinidad and Tobago, Mrs. Estrup (Wife of Dudley Thompson) Ambassador Curtis Ward who made the visit possible; Front row: British Army Vet of WW II Wendell Christian of Dominica and RAF WW II Vet Dudley Thompson of Jamaica.